Estes, Clarissa Pinkola. Women Who Run with the Wolves: Myths and Stories of the Wild Woman. New York, NY: Ballantine Books, 1992. 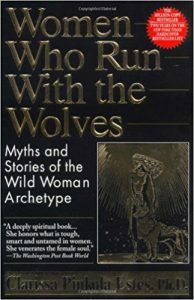 A powerful book for women about reclaiming the “wild woman” archetype.